Prom is about having fun with your friends, so enjoy your photos together as well! As we already talked about before, your Dallas Prom pictures do not have to be like the traditional boring photos of years past. We are bringing a fashion flair to your photo experience. The photos we are featuring here were all photographed in studio. You might also want to go outside, which will open up a ton of possibilities in different looks and styles. We will be doing a photoshoot this week in Trinity Overlook Park with the Dallas skyline, as well as by the water at White Rock Lake. Paige is also modeling a gown from Sherri Hill. 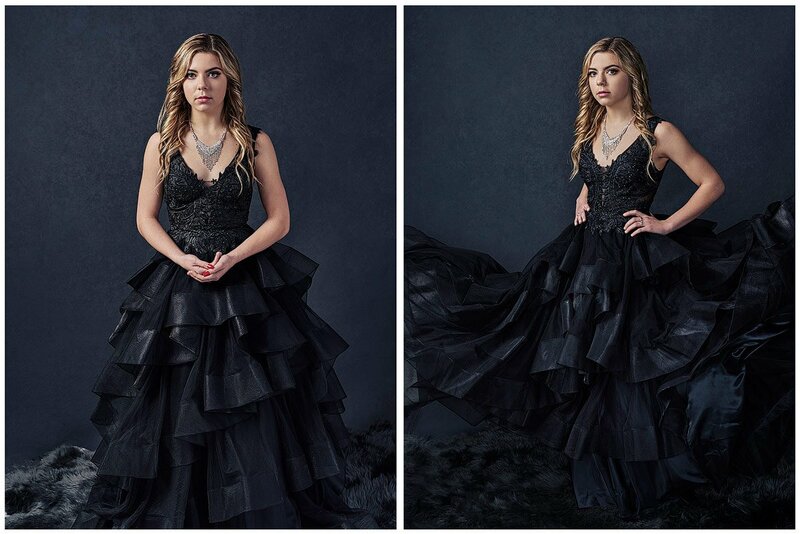 The long ball gown is so stylish in black. Before you know it you will be heading off to college. You might end up at the same school as your friend in Texas, or maybe different ones. What great keepsakes these will make for your college dorm and to share as you remain friends and grow together. Prom photos are something that becomes generational as well that you show to your kids someday. Dallas Prom Pictures don't have to only been taken on prom day! In an upcoming blog post, I will be talking about some of the great reasons why you might wait until after Prom to have a day dedicated to prom photos with you and your friends. Enjoy a few more photos below. Keep coming back for more prom photos and articles. 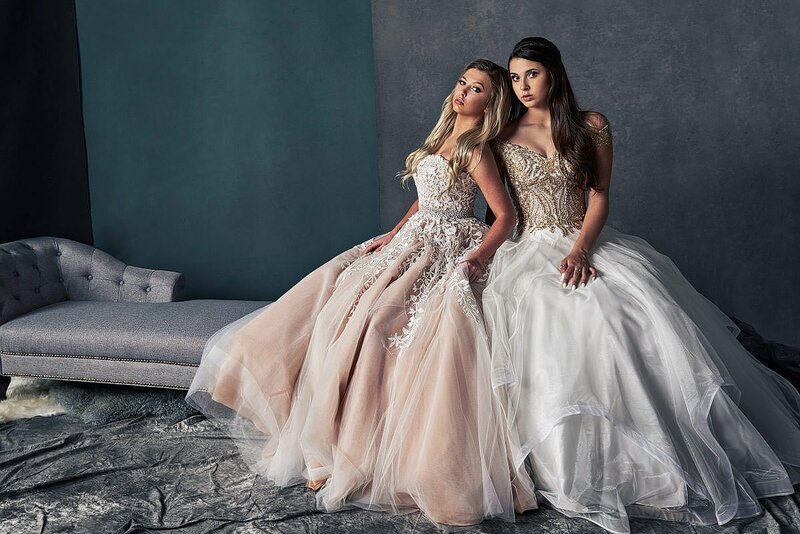 We will be listing some awesome places to think about doing your photos, some more dress ideas, talking about the benefits of doing your session before, day of, or after prom, as well as unveiling our new line of Prom specific artwork. Alex in her beaded dress from Colors, posing with a vintage chair and our deconstructed set style. Book Your Prom Shoot Today!